The Sally Weatherall Memorial Reservation on Little Neck Road is dedicated to Greenbelt’s first executive director. The property is primarily salt marsh–a trail through a small section of wooded upland leads to a viewing area and an osprey perch. In addition, the pond next to the Whipple House (formerly known as the Bicentennial Pond) was renamed Sally’s Pond in her honor. Sally Weatherall volunteered many hours to her Town as a member of the Conservation Commission; during those years, and through her devotion, the development of her precious Open Space Plan became a reality. After serving numerous years on the Conservation Commission, Sally turned her energies to focus on the Planning Board. 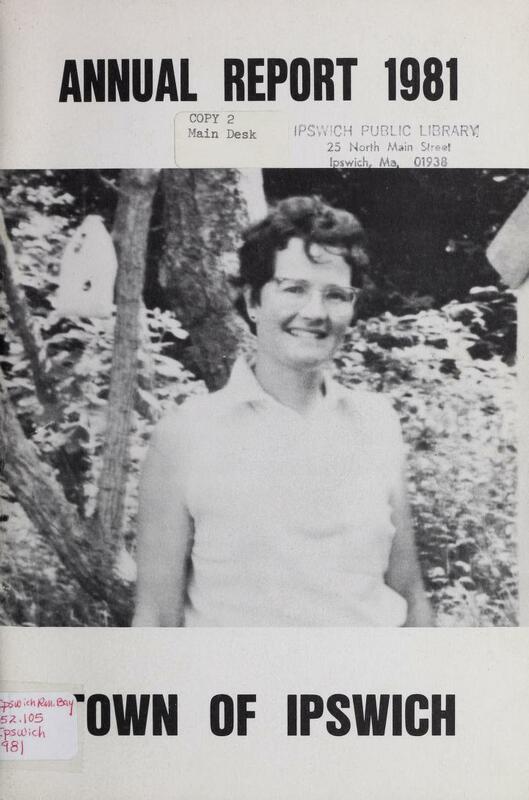 Sally’s involvement with Ipswich will long be remembered; and to her memory we dedicate the 1981 Annual Report. Sally Weatherall had a life-long commitment to preserving the natural resources and scenic beauty of her native Ipswich. When she died in the early 1980s, a memorial fund was established in her name and a search began for conservation property that would be a suitable legacy. In 1992, a 60–acre parcel of upland and marsh was located. Essex County Greenbelt Association approached the owners. Although they liked the idea of dedicating their land for conservation to honor Sally, they were not able to give the land away. A bargain sale was negotiated, establishing an affordable price (about 25% of appraised value) for Greenbelt. The tax benefits to the sellers were especially attractive, because they offset capital gains taxes on the sale at the same time of other appreciated real estate. But perhaps the most important benefit resulting from this bargain sale is that the generations to come will have this property to enjoy as a site for birding, nature exploration, and environmental education.